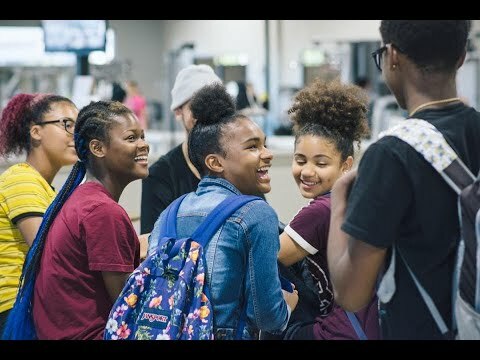 As a nonprofit organization, the Lord’s Gym City Center (City Center) exists to build strength for our community by igniting possibilities for underserved teens. This is accomplished by providing individuals (18+) the opportunity to strengthen their body while strengthening the community. Adult memberships support the organization's operating expenses to ensure every dollar raised through campaigns like this directly benefits the City Center’s youth programs. These programs include hands-on training in life skills such as emotional wellbeing, technological resilience, healthy communication and fitness education. Since opening in January 2018, the City Center has quickly become one of the largest teen centers in Northern California delivering hope and opportunity to all who enter its doors. With a goal to keep Stockton’s underserved youth population off the street, the City Center strives to raise the standard through accountability, support, and five core values. This CrowdRise campaign will help us launch our College & Career Readiness program in Stockton, California. With over 375 seventeen-year-olds getting ready to enter college and the workforce, we want to ensure each youth is equipped with the tools and resources needed to be successful. Whether youth attend a community college, four-year university, or directly enter the workforce, our goal is to build a sustainable college and career ready program that partners with local organizations to support local youth and their future endeavors. Help launch our College & Career Readiness Program! This campaign is a part of A Community Thrives project. It's a friendly fundraising campaign launched by the USA TODAY NETWORK where organizations related to wellness, arts & culture, and education compete to raise the most money for their ideas with the top teams and causes winning grant money. A total of $600,000 in grants will be given away to organizations in the project. If we meet our goal, we're eligible to win a $100,000 grant!